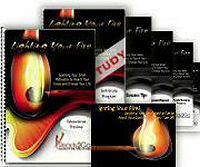 Starter Package: Lighting Your Fire - Sparking Your Inner Motivation to Reach Your Goals & Change Your Life from Ready2Go Marketing Solutions, Inc.
At the heart of any great accomplishment - whether it is to lose weight, find love, start a business, earn a promotion, move on after a death or divorce, or retire early - is one common element. That element is motivation. We can 'think about' all the great things we want to do all day long, but without motivation there is no plan, no action, and no follow through. Yet for so many people taking action to get up and go, and STAY going is impossible. And eventually with so many unachieved goals sitting on people's shelves, it's a reminder of their failures, so they simply stop trying. This is the very reason this topic so important. 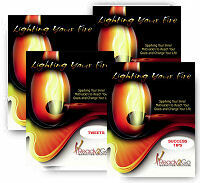 We have designed this series of Lighting Your Fire products to help more people successfully set and achieve their goals. 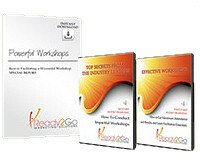 Through these materials your clients will get the tools, training and support they need to boost themselves out of any rut and rekindle the flames of their motivation. Imagine the difference we can make if we can just help a few more people set and achieve their important goals. Through the special report, articles, success tips and tweets, your clients and prospects will better understand the concept of motivation, and learn to tap into and maintain their own motivation so that can create a new direction for their lives, awaken their dreams, and inspire others to do the same. This starter pack is filled with more than 20 pages of inspiration & easy-to-follow, step-by-step exercises to help your clients achieve more of their goals & dreams. When people's goals and dreams become firm realities, their confidence soars, their stress levels drop, their relationships improve & they go to bed each night with peace of mind, knowing that they’ve done their best, they are on the right train, and will do it again tomorrow.